November 12, 2013 - AMR Corporation parent company of American Airlines and US Airways Group announced that the airlines have settled the litigation brought by the U.S. Department of Justice (DOJ), the States of Arizona, Florida, Michigan and Tennessee, the Commonwealths of Pennsylvania and Virginia, and the District of Columbia challenging the merger of AMR and US Airways. The companies also announced an agreement with the U.S. Department of Transportation (DOT) related to small community service from Washington Reagan National Airport (DCA). Under the terms of the settlement, the airlines will divest 52 slot pairs at Washington Reagan National Airport (DCA) and 17 slot pairs at New York LaGuardia Airport (LGA), as well as certain gates and related facilities to support service at those airports. The airlines also will divest two gates and related support facilities at each of Boston Logan International Airport, Chicago O'Hare International Airport, Dallas Love Field, Los Angeles International Airport, and Miami International Airport. The divestitures will occur through a DOJ approved process following the completion of the merger. Despite the divestitures, the new American is still expected to generate more than $1 billion in annual net synergies beginning in 2015, as was estimated when the merger was announced in February. After completion of the required divestitures, the combined company expects to operate 44 fewer daily departures at DCA and 12 fewer daily departures at LGA than the approximately 290 daily DCA departures and 175 daily LGA departures that American and US Airways operate today. The divestitures required by the settlement are not expected to impact total employment at the new American. 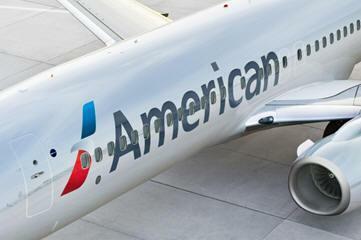 In the settlement agreement with the state Attorneys General, the new American has agreed to maintain its hubs in Charlotte, New York (Kennedy), Los Angeles, Miami, Chicago (O'Hare), Philadelphia, and Phoenix consistent with historical operations for a period of three years. In addition, with limited exceptions, for a period of five years, the new American will continue to provide daily scheduled service from one or more of its hubs to each plaintiff state airport that has scheduled daily service from either American or US Airways. A previous settlement agreement with the state of Texas will be amended to make it consistent with today's settlement. Tom Horton, chairman, president and CEO of AMR, and incoming chairman of the board of the combined company, said, "This is an important day for our customers, our people and our financial stakeholders. This agreement allows us to take the final steps in creating the new American Airlines. With a renewed spirit, we are about to create the world's leading airline that will offer, along with our oneworld partners, a comprehensive global network and service by the best people in the business. There is much more work ahead of us but we're energized by the challenge and look forward to competing vigorously in the ever-changing global marketplace."